Your dog loves nothing more than to get completely caked in mud, and will even risk forgoing a post-walk biscuit for the thrill of being the filthiest, smelliest dog at the park. Now your pup can indulge in their penchant for muck for a very good cause indeed, by putting their best paw forward with The Muddy Dog Challenge. This challenge will raise vital funds for the dogs and cats still awaiting their forever home at Battersea Dogs & Cats Home, and looks set to be a fun day out for pooches and pooch parents alike. 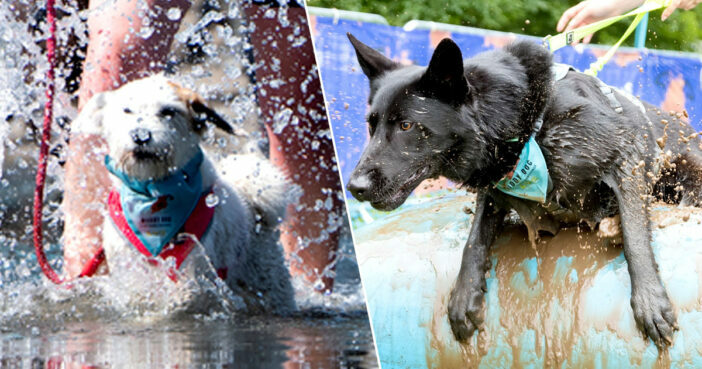 Supported by Seresto flea and tick control collar, The Muddy Dog Challenge will be returning to Manchester this coming September, with animal lovers coming together to show support for the brilliant Battersea Dogs & Cats Home. We’re really looking forward to coming back to Greater Manchester for the Muddy Dog Challenge this year and welcoming lots of dogs and their owners from all walks of life. homes, as well as a memorable day out for all! Taking place on Saturday, 14 and Sunday, 15, participants will head over to the gorgeous grounds of Ashley Hall, Altrincham where a fun-filled and challenging obstacle course awaits them. Dogs will be in their element as they ‘jump, crawl and wade’ their way through the obstacle course, and will no doubt leap at the opportunity to prove themselves as the true good boys they know themselves to be. Human participants can choose between 2.5 km or 5 km doggo-friendly obstacle runs and can either enter by themselves, or as a dog and human power team (the best kind of team). You can also take up this challenge as a dog-loving family unit, bringing the kids along for a family day out with a difference. And it’s not just Manchester which is getting in on the fun. There will also be events taking place in Cheltenham (June, 1), Nottingham (June, 29), Tunbridge Wells (September, 21), Newcastle (October, 5) and Leeds (October, 19). The action kicks off at 10am on each of these days, with ticket prices ranging between £37.50 and £53.30. You and your furry bestie can register for the Muddy Dog Challenge Manchester by visiting the Muddy Dog website. Registration will close on Sunday August 25 at 11:30pm.